Large construction set with 42 beechwood pieces. Includes 6 glass marbles. Packed in a cardboard box: 24 x 24 x 33 cm. HABA is the ‘Inventor for Children’! 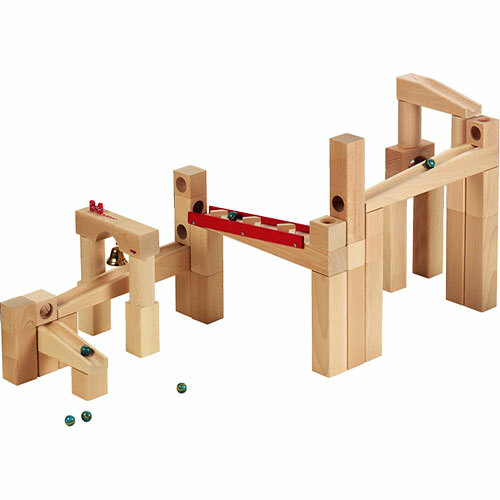 We develop and produce innovative games and toys, unique products and accessories for the home that both children and adults find it hard to part with over the years, and that give them pleasure time and time again. Measures approximately: 10.08 x 10.08 x 13.66 inches..